On March 19, 2019, the Maldives government has accepted an offer from Mangrove Action Project to help restore and revive the Kulhudhuffushi mangroves after a controversial airport project destroyed a large part of the unique ecosystem. 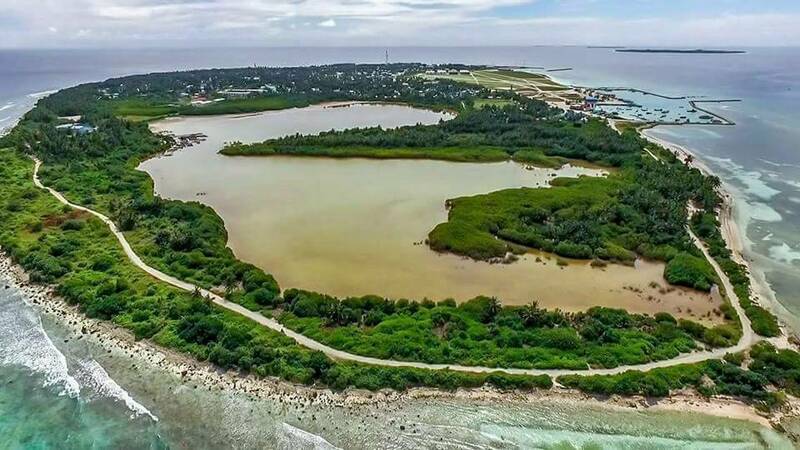 Maldives Environment Minister Dr. Hussain Rasheed Hassan accepted the offer from Mangrove Action Project (MAP), a US-based nonprofit specialising in conservation and restoration of mangroves, the environment ministry tweeted. The Kulhudhuffushi mangroves were reclaimed in late 2017 to make way for an airport despite a public outcry and warnings of lasting and irreversible damage from an Environment Impact Assessment report. A 2013 campaign pledge of former president Abdulla Yameen for the northern population hub, the project was rushed to completion ahead of last September’s presidential polls. Claims made by relocated residents were disregarded and mitigation measures advised by the assessment report to protect the remaining area were ignored. Activists and environmental NGOs have since protested the lack of action to preserve the remaining wetlands. The environment ministry will invite foreign researchers to study the remaining areas for restoration, State Minister Dr. Abdulla Naseer told the Maldives Independent. “A huge part of the mangroves has now been destroyed. So we have to first study the remaining area to see how to revive it and restore hydrology,” he said. “We are now communicating with Mangrove Action Project to arrange a trip. But first resources need to be allocated to arrange such a trip,” he added. 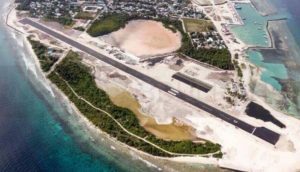 Alfredo Quarto, MAP’s programme and policy director, told the Maldives Independent he hopes a team of experts could visit the site around mid-April. “The remaining mangroves are struggling for survival due to blockage of their sustaining hydrology, which includes both the tidal flows and freshwater inputs from streams and rains. We know that this hydrology has been negatively impacted, which if not corrected could lead to the demise of the remaining mangroves,” he said in an email. “Therefore, as the Minister of the Environment, Dr Hassan, and I agreed, we must try to find a way forward to revive the hydrology in part or whole to rehabilitate the still existing mangrove area,” Quarto added. The Kulhudhuffushi mangroves were “reclaimed” (destroyed) in late 2017 to make way for a much contested airport with disregard for an Environment Impact Assessment report whose findings and recommendations were largely ignored by the developer. Today, the reclaimed part of the island’s lagoon and the newly built runway have now cut off access for seawater to enter the mangroves during high ties. This loss of access to tidal hydrology is a serious threat to the island’s remaining mangroves. MAP is partnering with the local alliance called Save the Maldives and with the IUCN sub-group Mangrove Specialist Group (MSG), which is composed of scientific mangrove experts from around the world who are dedicate towards reversing the loss of mangrove forests and restoring damaged and degraded mangroves back to healthful and productive wetlands. Although mangroves store up to five times more carbon than tropical rainforests, over half of the world’s mangroves have been destroyed. “This tragedy should and still can be avoided by more careful and long-range planning by all coastal resource managers and conservation interests. But this planning must start now, not after the damage has been done and more mangroves have been lost,” Quarto said. “The Maldives, though containing a small percentage of the world’s mangroves contains some unique and threatened mangrove species, which if lost may result in their extinction. The Maldives is a nation where MAP and our partners can build global awareness on the importance of mangroves and collaborate with local communities, NGOs and the government on mangrove conservation and coastal management,” he concluded. See Mangrove Action Project website.